I've been asked many times to describe the process of becoming a liveaboard, cruising family. I don't think there is a “typical” path though there do appear to be commonalities in the families with whom I have compared notes. The rule of thumb is that from the moment you truly make the decision, the average time to cut the lines is roughly five years. That's a long time. Most of the delay stems from financial challenges. Others relate to family or getting the boat ready. Some of it is simple fear. I always thought of myself as a “balls to the wall” sort of individual. Once I decide to do something, I pitch myself into the project with complete abandon, holding nothing back. My sanity is sometimes called into question but never my enthusiasm or energy. Yet, looking back on the arc of our progress from upper middle class yuppiedom to full time liveaboard hippies, I can see that we haven't done this with my characteristic abandon. Rather, the story is one of singular steps, each monumental in its own right and adding up to enormous change. Really, this is a lot like going to Mars with the family, jettisoning a large chunk of something at each phase. January 2005 – My husband has a mid-life crisis four months after achieving all of his life's ambitions. He decides to run away and asks if I would like to come with him. I agree enthusiastically, but I recommend that we take a house and the children with us. We compromise on a boat. Summer 2005 – I have no idea how to sail. I've never spent more than three days consecutively on a boat, and then it was roughly the size of a mid-town hotel. It strikes me as a reasonably good idea to take a few sailing classes. 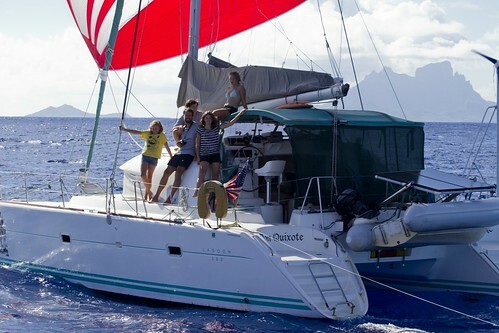 August 2005 – We buy s/v Don Quixote. I once documented how perfectly wrong we were in both our selection and purchase process. Let's suffice it to say simply that we bought the boat sight unseen with no previous experience of the model or craft from an advertisement on the Internet. We'd never even sailed a catamaran ourselves. September 2005 – I quit my job of nearly seven years and dropped out. The next six months are a perfect blur. I swear I do not remember them. It is quite possible I did nothing but read romance novels and browse Froogle the entire time. The bank records indicate that during that time I actually had several lucrative documentation contracts and completely reconstructed my husband's accounts payable system. This I do not remember. July 2006 – Contemplated killing Jaime. August 2006 – Contemplated burying her with Mera and Aeron. October 2006 – Threw away the Calvert curriculum and started over, this time with the help of the Seattle Homeschool Resource Center, some serious mood elevators, and some unschooling friends. Summer 2007 – The summer of 2007 saw us accomplishing several major feats. First, Jaime and I managed to travel for week with the boat sans DrC, proving that we could dock and sail the boat without breaking anything. We also made several extended, multi-week sojourns on the boat, proving that we could do so without killing each other. At this point, I was feeling fairly confident that the boat was ready for coastal cruising, although I wouldn't want to try to try an offshore passage with her. Unfortunately, to get to San Francisco we need to make an offshore passage, so there's a bit more work to do. September 2007 – We finally sell DrC's practice and can build a realistic and reliable schedule for the rest of our lives. Granted, the contract commits him to working through April, but who wants to cruise in the Pacific Northwest in the middle of winter anyway? No worries, we'll just move onto the boat and pretend we're Seattle tourists. November 30, 2007 – Which brings us to today. Today is DrC's last day as a solo practitioner working for Eye Craft, PLLC. 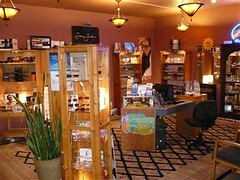 We move all his charts, our server, and a few select pieces of equipment to the offices of Evergreen Eye Center. We're living on the boat more or less full time now. Less only because the heater broke a few weeks ago and I can stand the freezing cold only for about five days at a time before I cry Uncle and run to the heated basement to thaw out in the hot tub of our former backyard. April 2008 – DrC stops working. Completely. May 2008 – We leave Seattle. Mor or less ppermanently. We head north initially into the San Juan Islands, Gulf Islands, then Desolation Sound, the Queen Charlottes and back around the west side of Vancouver Island. 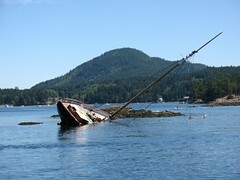 August 2008 – Return to the south Puget Sound for a few weeks of outfitting and provisioning. Then we turn south. November 2008 – Pick up the Baja Haha and that's the last of the cold weather for a pretty long time. There you go. Simple, right? Now you try it.